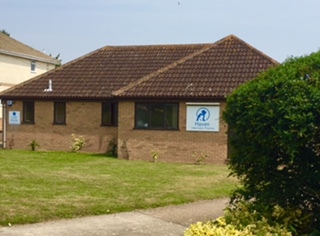 Haven Veterinary Practice was established with its current name in 1991, but the Practice has been in continuous existence since the late 1940's. Largely a farm-animal Practice in the early days, this large animal work gradually reduced in favour of a booming domestic pet population. By 2006 we became a small companion animal-only practice. We have always sought to provide the highest levels of veterinary and nursing care for our patients, being one of the earliest registered Veterinary Animal Hospitals in the country. We invest heavily in our staff training, for Vets through Nurses to Receptionists, even being registered as a Veterinary Nurse Training Centre. We are also registered as an accredited practice with the Royal College of Veterinary Surgeons. Our veterinary surgeons will be able to help you with any concerns you might have about your pet's health. Where possible we try to ensure that you are able to see the same veterinary surgeon from the beginning to the end of your pet's treatment. If your pet needs to be hospitalised for a diagnostic or surgical procedure a member of our nursing team will be directly responsible for the individual nursing care your pet requires. When you collect your pet that nurse will discuss, directly with you, all of the post-operative instructions set out by your veterinary surgeon. Two waiting rooms enable us to separate our quieter patients from our more boisterous visitors. A full range of internal and external diagnostic facilities including: blood testing, ECG heart recording, endoscopy, ultrasonography, light microscopy, x-ray suite, air driven dental machine, ear irrigation system, a multi parameter anaesthesia monitor and a Tonometer. 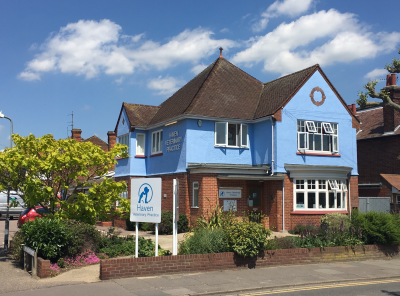 Our practice is registered with the Royal College of Veterinary Surgeons and is inspected regularly, ensuring that we comply with all health and safety regulations and that we provide the highest standards of care within the practice. Our friendly receptionists are available to make appointments for your pet, advice you on general pet healthcare and to assist you in every way possible. Our nurses are fully qualified and registered with the Royal College of Veterinary Surgeons. Many of our nurses have undergone further qualifications enabling them to train student nurses. Our nurses play an integral role in patient care before, during and after major operations and diagnostic procedures. Our Veterinary Surgeons are highly experienced and competent in all aspects of veterinary medicine and surgery. We aim to offer the highest standard of patient and client care.